Many game reviews on the Geek have section(s) for 'Value' or 'Component quality.' Some gamers tend to value things like thick counters and mounted maps, some don't. I was mulling that over, and thinking about some of my recent games, when I thought of a metric, dollar cost per pound. I did a search through the Geeklists, and found that Chaddyboy had a Geeklist back in 2006, If Games Were Meat that used the same metric. I think enough time has passed to do another list. Chaddyboy listed the top 25 rated games, this list is open to any game. 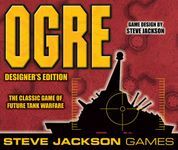 Ogre Designer's Edition is one of the largest games ever produced. 5 mounted maps. Over 1000 oversize counters. A custom designed and manufactured counter tray (the 'Ogre Garage'). The total print run came from China in seven 40' shipping containers. There is nothing small about this game. Except, maybe, the cost per pound. Let's look at an older game, that had a much lower retail price. Not to mention that Avalon Hill always led the way with mounted maps, boxes and charts. Sqaud Leader had 4 mounted maps, 500+ counters, rules + charts. Wooden blocks, mounted maps, VERY thick (2.5mm) markers and terrain overlays-- this game is loaded. Comes in ahead of A Distant Plain, not bad at all. Recent purchase from GMT Fall Sale. Large box, mounted map, wooden blocks, it has to come out well, doesn't it? Let's throw in one of the original Metagaming Microgames, just to see how it stacks up vs the Ogre DE behemoth. 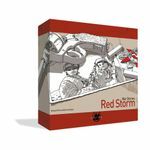 16 page, 4"x7" rulebook, small unmounted map, 1/4 page sheet of non die cut, thin card stock counters. $3/.06 pounds = $48/lb!!! This shows a weak spot of the metric.